Wendy is a trained primary school teacher (CRB checked) and local exhibiting artist and has been working with children for more than 24 years. 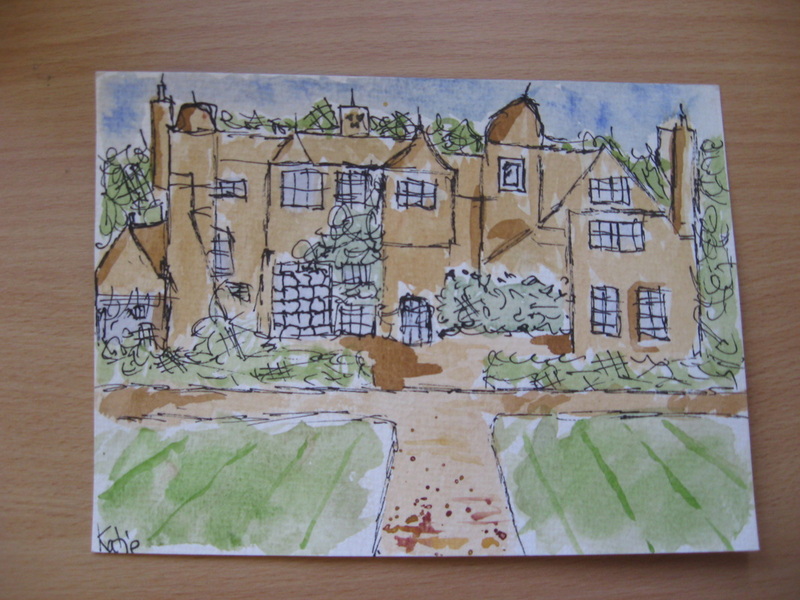 She specialises in Watercolours and Felt-making and has run various workshops for children and adults over the passed 6 years. These give the opportunity for children in schools to engage in these exciting and creative art experiences. 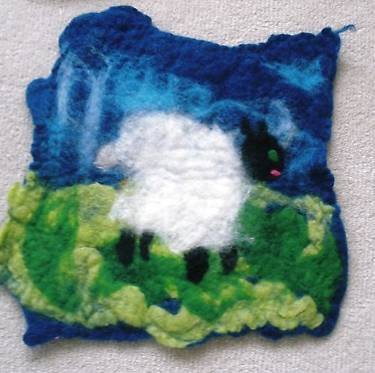 The children can learn how to make “felt” from wool and can either create a large school hanging or individual felt pieces, or experiment with watercolours to create their own amazing paintings. Many schools have already enjoyed these workshops and evaluation of the workshops from Heads, teachers, parents and the children themselves are extremely positive. Her most recent workshops have included half and full day sessions for children aged from Year 2 – Year 6. 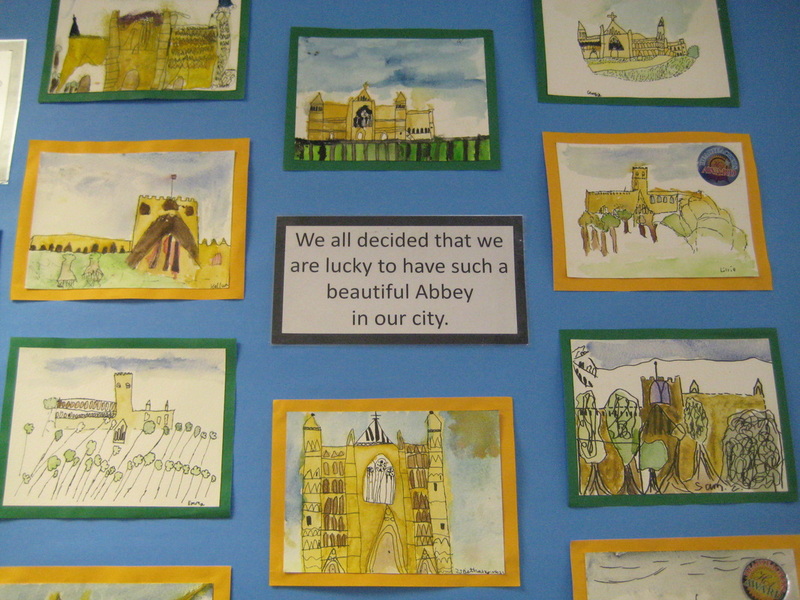 Outcomes include greater creativity, improved artistic technique and experiences, beautiful individual pieces and dramatic displays for the whole school community to enjoy. All workshops can be linked to National Curriculum. If you are interested in your pupils’ enrichment through the medium of creative art then please do not hesitate to contact Wendy. 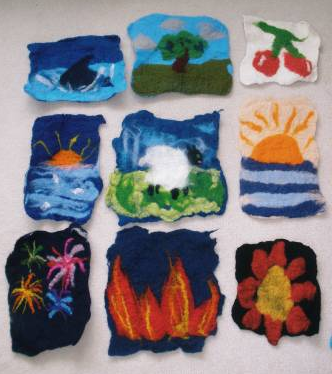 In this workshop the children will learn how to felt wool and will work together as a team to produce one large felt hanging. When the felt has been dried the children will be given the opportunity to “needle felt” and embellish the hanging. This workshop can be a project for the whole school involving all the children or a class workshop. The hanging will measure approx 1m x 0.60m and can be hung on the wall. This workshop links in with History topic, The Tudors or a science topic on materials. Made by children in a Hertfordshire Primary school 1m x 1.3m. 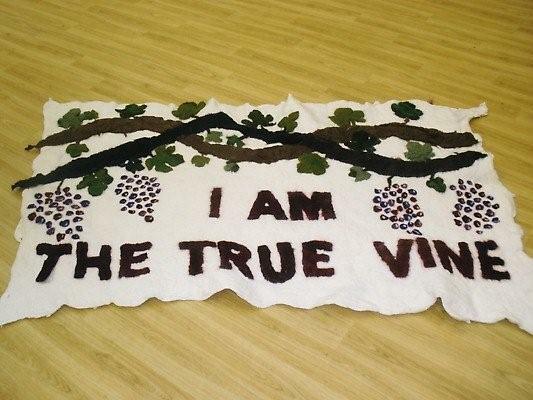 Each child helped make this .. some felted the white background while others made the vine and leaves .. Years1-2 Needlefelted the grapes. 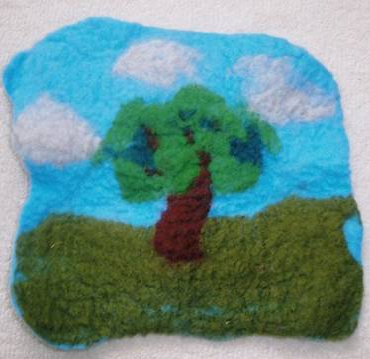 The class felting workshop will involve the children using wool to create their own piece of felt (approx 20cm x15cm). They will learn how to layer the merino wool and how to transform it into their own masterpiece. The children will use pen and wash to create a painting. In the workshop the children will experiment with various mark making ideas and techniques which will help create depth in their picture. This is a fun exciting way to create eye catching paintings. The subject will be discussed with the class teacher prior to the workshop. This can be linked to RE theme of Special Places or the Tudors. In this workshop the children would learn to use a variety of techniques such as mixing a wash, painting wet on wet, painting wet on dry and painting with a dry brush. The children would have the opportunity of working with a various sized brushes and will use different tools such as sponges, salt, toothbrushes or cling film to enhance their work. Each child completes their own individual watercolour painting. 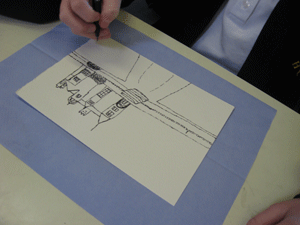 All the techniques learnt can be used in their future art work at school and at home. The subject of the painting would be discussed with the class teacher prior to the workshop. Any of the workshops can be part of staff training days and tailored to the school’s needs. Staff will be able to use techniques and ideas learnt to enhance their class teaching. 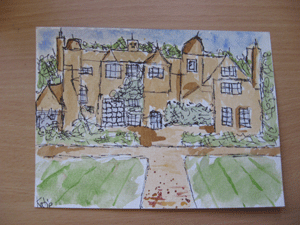 The costs of the workshops are £180:00 for a half day and £290:00 for a full day. Travel expenses at 45pence per mile will apply for schools outside of St Albans, Herfordshire. Please do not hesitate to contact to discuss your workshop in your school.